Synopsis: She's an american actress who's gotten 15 million dollars for her last movie. He owns a travel book store and earns nearly nothing. But one day their paths cross and they virtually run into each other. And then she kisses him! But is this going to work? She, known by the whole world? Him, whose name is sometimes forgotten even by his mother? 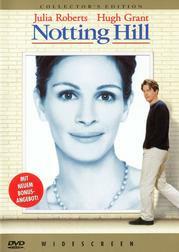 In London's Notting Hill their fate will be decided. My Opinion: I love Julia Roberts in both her romantic movies as well as her more serious roles (e.g. Erin Brockovich). What I especially liked about this movie was, how they portreyed the gossip's part of the life of a star. I - personally - couldn't care less what they do outside the big screen. If I were the only consumer in the world all the gossip magazines would go bankrupt. The only time I'd really care would be when one of these beautiful actresses would fall in love with me. And I even replaced my German DVD with the RC1 DVD because of this. That version is even extended. 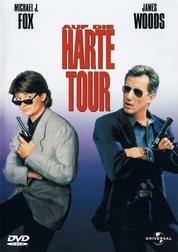 On the German DVD they put the missing scenes as deleted scenes instead. The last time I watched it, I found it funny to see Dave Foley as her gay best friend. I had come to know him from the TV series "Newsradio". 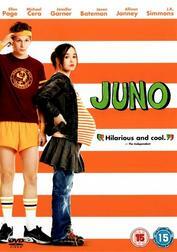 Synopsis: Juno is 16 and pregnant. And although she thinks about an abortion she decides against it. But she also doesn't want to keep the baby. Thus she's looking for adoptive parents who will take her child after it is born. And she finds the seemingly perfect couple. But there are still a few months left until the birth and some things aren't meant to be. My Opinion: This was a blind buy for me after it got good critics. Ellen Page played the role wunderfully. But I have to say one thing: Although I would love to have children, I wouldn't have wanted one with Vanessa either. She felt to overwhelming to me. Her entire world did spin around that baby and I'm not sure I could have borne that weight. And in my opinion Michael Cera's role could have been a bit bigger, it's his child after all and he loves Juno. All in all an interesting movie but another one that one has to be in the mood for. One additional remark: Juno says she's named after Zeus's wife. But Zeus' wife is Hera. Only in the roman mythology they are called Jupiter and Juno. But then again, Zeus's son is not Hercules, but Heracles and no one ever cared. One additional comment to this thread: You will rarely read that I didn't like a movie. That's simply because - except for blind buys - I don't watch movies I don't like. So only the degree of my enthusiasm will vary. My Opinion: It was so funny to watch how Nick/Ray drove John to despair and he didn't know how to respond. I especially liked the hunt of the party killer in the theatre in front of the running "Smoking Gunn" movie. But the party killer himself was also a cool opponent in my opinion, all the action scenes with him were well done. The roles for Michael and James were totally fitting, especially from the viewpoint of what they are usually playing. 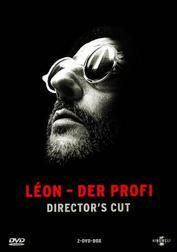 Synopsis: Léon is a professional hitman, a cleaner. Mathilda's family has just been executed by corrupt cops over a drug issue. Now she seeks refuge at his appartment and he doesn't know how to deal with this twelve-year old child. But soon he teaches her how to become a cleaner and she teaches him how to read. And she has also a score to settle with the killers of her four-year old brother. My Opinion: Everytime I watch that movie I wonder if Tony is really saving Léon's money because everytime it comes to this topic he evades it. Yes he says that Léon could have it but he gives a number of reasons why he shouldn't take it. And at the end he treats Mathilda the very same way. It's a fascinating movie actually and excellently played by Reno, Oldman and Portman. I am especially fascinated by Gary Oldman. In my opinin he's very good in speaking different accents and playing varying degrees of insanity. This is one of few movies where I notice the music much more, it seems more intense and helps to tell the story and isn't just a background noise. If it weren't already late, I'd just watch another Luc Besson movie with Gary: The Fifth Element. I noticed you watched the Director's Cut (or International). I have both versions and actually prefer the original. Have you seen it? Nope, I haven't seen it. I thought it was just some additional scenes. I will read up on it. It does boil down to additional scenes, but I found it added a rather surreal edge over what I'd been used to. It's ages since I watched it and seem to remember a scene with Mathilda that felt like one too many and out of character. Of course, this being the version you know, I bet you'd find the cut edition frustrating. I bet you'd find the cut edition frustrating. I found this german page with screenshots where they show what's been added to the DC and I wouldn't want to miss those scenes. Ah, I remember now! I found Mathilda's pass at Leon uncomfortable and it undermined their relationship. I preferred the idea that they both felt something special, but didn't know how to handle it, so it stayed simple, childish, therefore more innocent. By attempting to act on it, it was like it suddenly had to be addressed and dealt with. In a similar way I wasn't sure about Leon killing the guy he let Mathilda practice on. But overall, I'd seen the original cut three times and was used to the lean pace. I think it's interesting though that the film is so good that neither version is "right". I don't know anyone who would prefer the original cuts of, say, Aliens for example. I believe Matilda coming on to Léon was cut because she's simply considered to young for such things; and she get's rather drunk too! The rest is scenes that explain her learning to kill, again deemed inappropriate for kids. I have originally seen the shorter cut (in the cinema) but would now never go back to it and always choose the International Cut. In my opinon the scene where she gets drunk in the restaurant is fine. Léon usually only drinks milk and therefore has a hard time controlling her, not really knowing the effect of alcohol himself (I suppose) and the important part here is that he rejects her (sexually/romantically)! The other scenes were always important to me, because Matilda is out for vengeance. She saw her family, most importantly her little brother, getting killed and wants revenge. So she goes to Léon to learn the trade, eventually packing guns and going to the police station to do her deed; unfortunately she can't go through and fails miserably. I always felt that with those training session scenes missing her going to the police station felt much more stupid, like "what is she thinking???". In the longer cut we know she is well trained and theoretically knows what to do. My point is, the film feels much more rounded to me with the scenes back in and I feel it's really stupid censorship to have them taken out. I'll have to give it another go, but overall I liked the idea it was a grown-up kids film. Going to the police station sounded like something a naive kid would try after merely spending time with Leon; a bit like the old joke about the little boy who runs away from home but gets stuck immediately because he's not allowed to cross the road without his mum! Mathilda spends a couple of days with Leon, thinks she's Nikita, and quickly finds out she's not. that's an interesting concept too. Synopsis: Evolution is a long and slow process. But every few hundred millenia it takes a leap forward. It has created human mutants. But how are they going to live in our society? Do we have to control them? Do we have to know what they can do? There's a war upon us and Magneto wants to make sure that he's on the winning side. And for this he needs a mutant called Wolverine, or doesn't he? My Opinion: Although it's a comic adaption it feels much more real than previous superhero movies, Christopher Reeve's Superman movies come to mind. As with Batman, Superman and all the other american superhero I've never read any of the comics and am thus not burdened with any expectations or knowledge that could hinder my enjoyment of the movie. And so I enjoyed it a lot. The characters were great altough a bit few for my taste. It's a dilemma: One the one hand it's not really logical that each side has only three fighters (Wolverine, Storm & Cyclops vs. Sabretooth, Mystique & Toad) but if they had been more it may have been to much. But the fights were cool, everyone could participate and use their abilities. 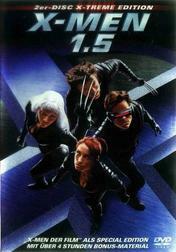 When X-Men Origins: Wolverine comes into the theatres this year you'll find me exactly there!